Marshmallow is the perfect name for this big lump of cuddles. 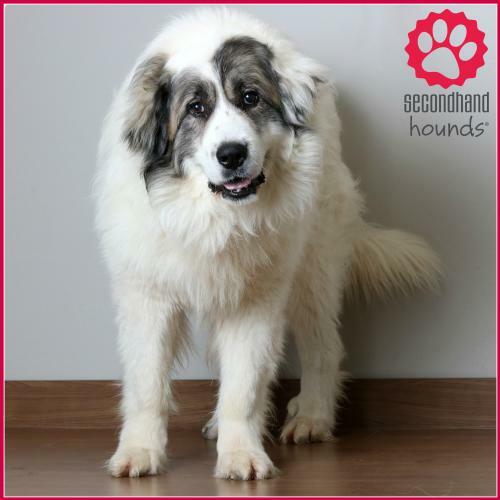 Marshmallow is a big guy who enjoys being outside (he will take naps in the snow in below zero weather! ), taking walks and getting pets. Marshmallow so far has no interest in toys but likes to play with other dogs when he is outside but mostly he wants to be pet all day long by his people. 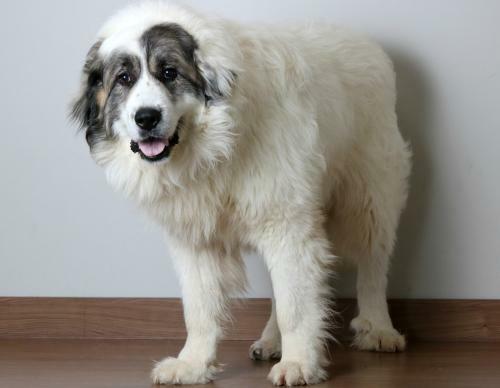 He is a typical Great Pyrenees in that he is protective of his people and will sleep in front of door ways and make sure he walks the perimeter of the yard and the house to check things out. He is not much of a barker and is excellent on the leash and LOVES walks! He is potty trained, does not do well in the crate, he does well roaming the house for the work day. He can be a little stubborn and sometimes refuses to come inside the house if he is having too much fun laying in the snow but will reluctantly come in when coaxed with some cheese. He wont be ok just hanging out outside without either a fence or being on a leash as he will definitely 'wander'. He will most likely do best in a home without a cat as they seem to activate his instinct to 'run off' animals not in his pack. He lives in a home with 3 smaller foster dogs and does great with them. 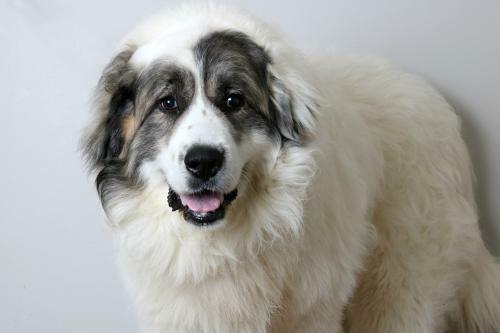 Marshmallow is an absolute doll and loves to cuddle, get pets and just lay around with you watching movies but is always up for a spirited walk around the neighborhood to make new friends. He is a total cuddle bug and gentle soul.